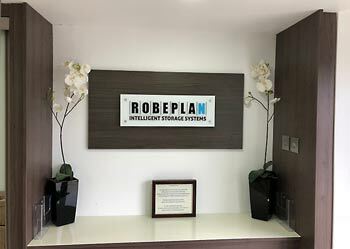 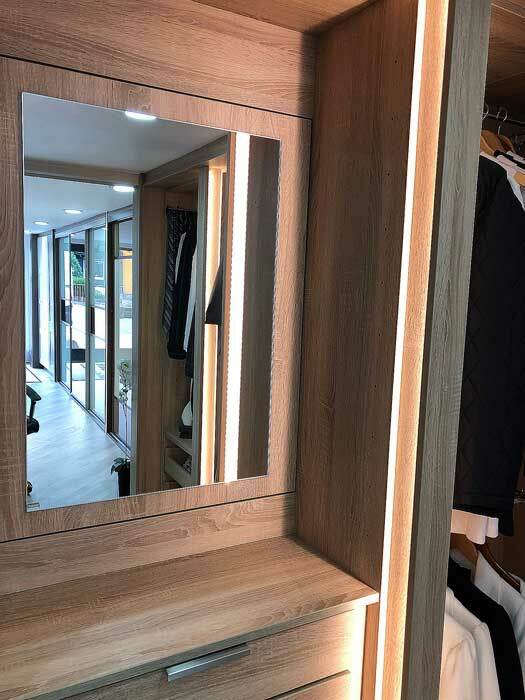 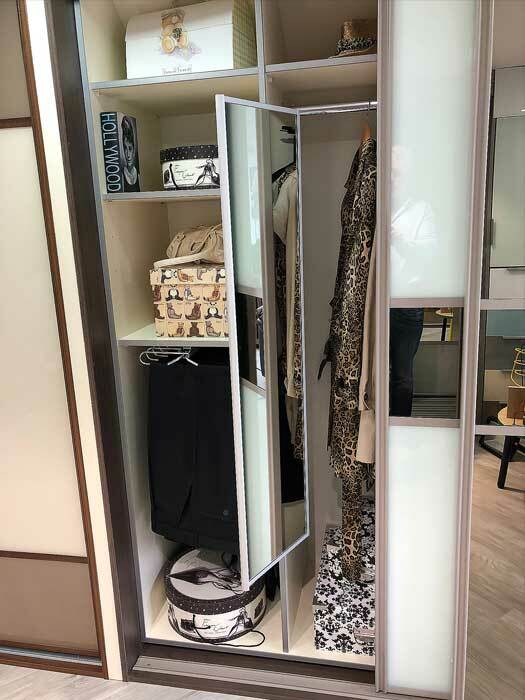 The ROBEPLAN system has been perfected by merging our beautiful range of sliding doors with exceptional storage and state of the art accessories. 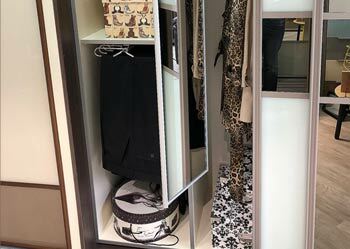 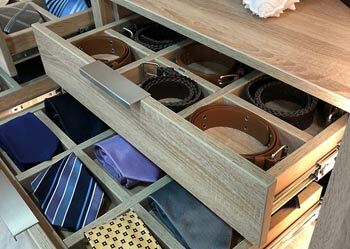 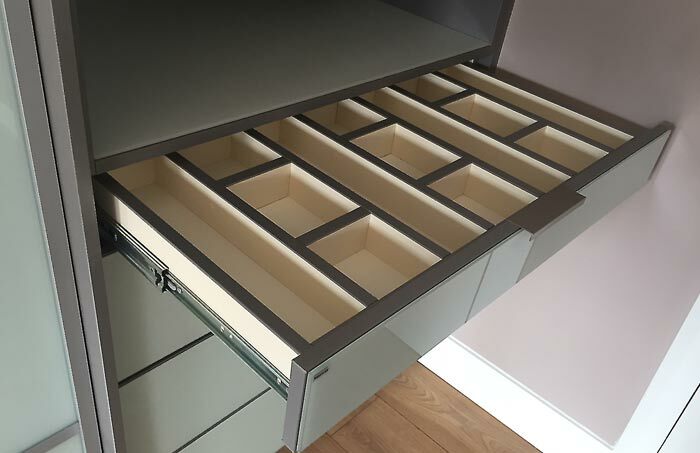 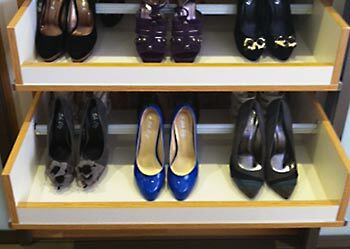 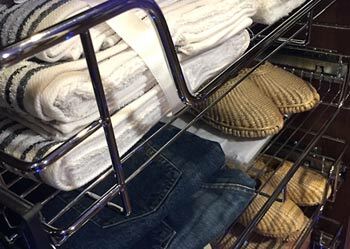 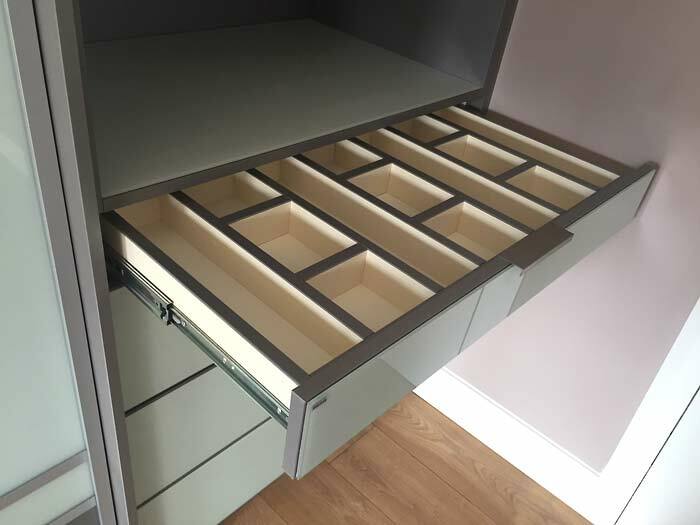 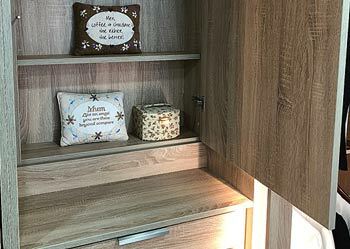 This complete range of accessories and components incorporating Pull-Down Clothes Rails, Shoe Drawers, Belt & Tie Racks and Roller Baskets are just some of the accessories we provide which are designed to create a sense of order in your Walk-in Wardrobe. 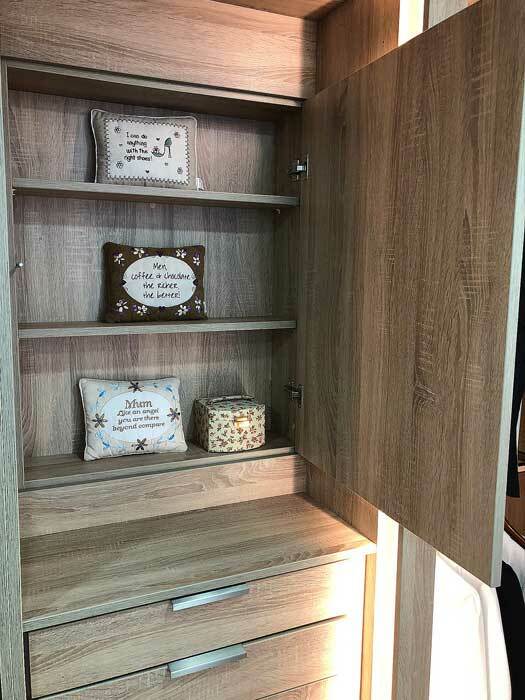 Selection of Wood Finishes available. 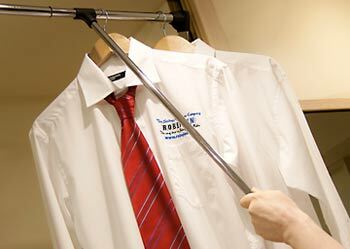 We know that standard size wire products can have a knock on affect to other areas in the robe. 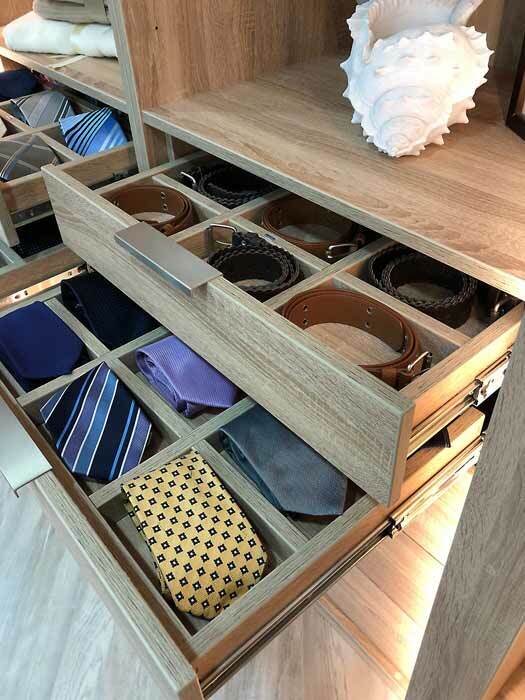 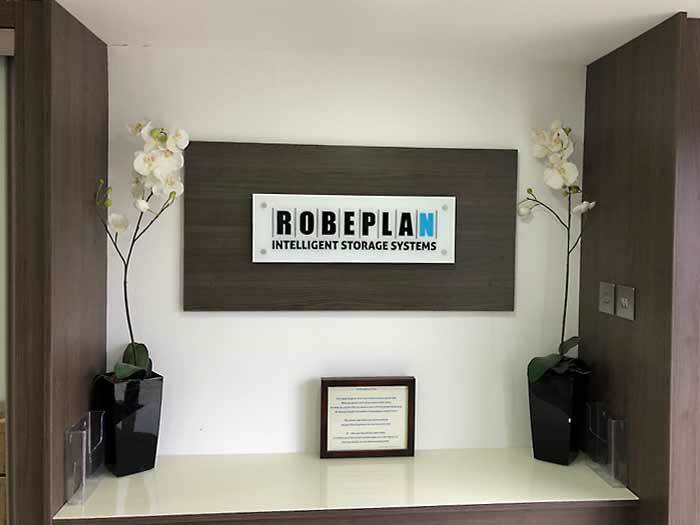 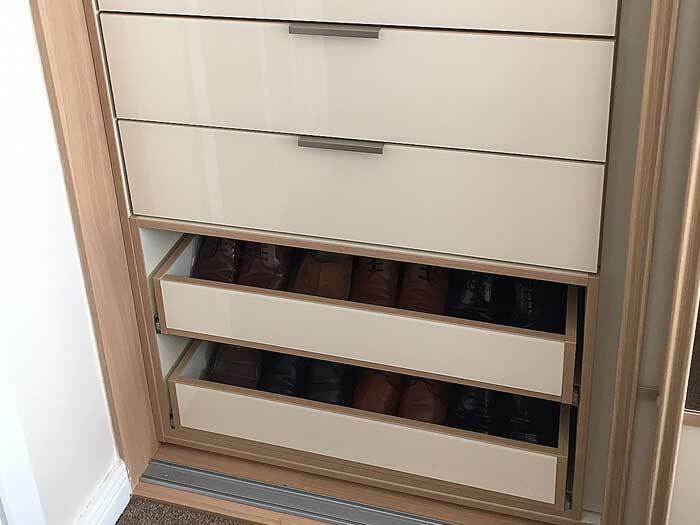 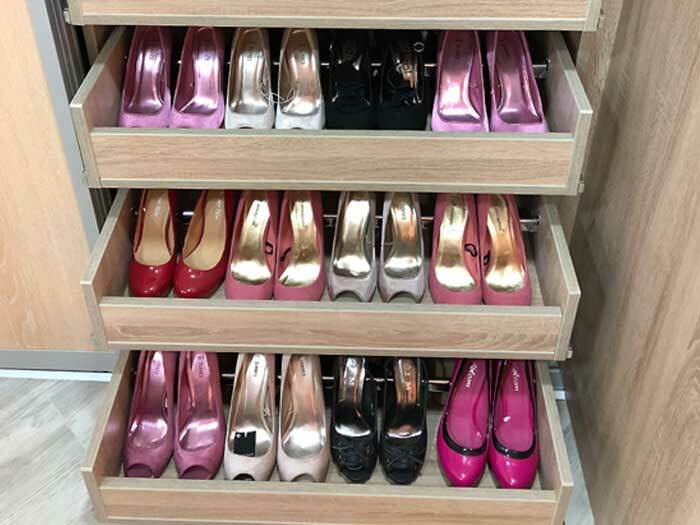 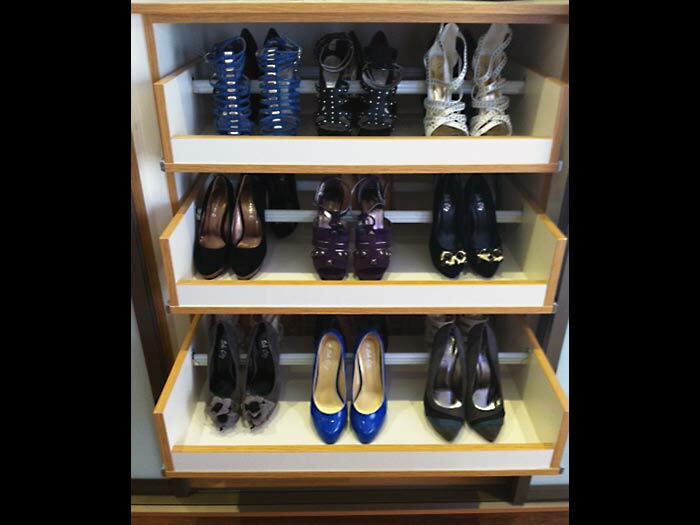 Because your shoe storage accessories are made to measure by Robeplan, it means that there is no space wasted in your robes. 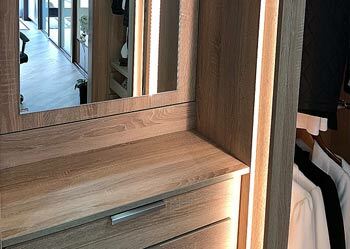 Selection of Wood Finishes available. 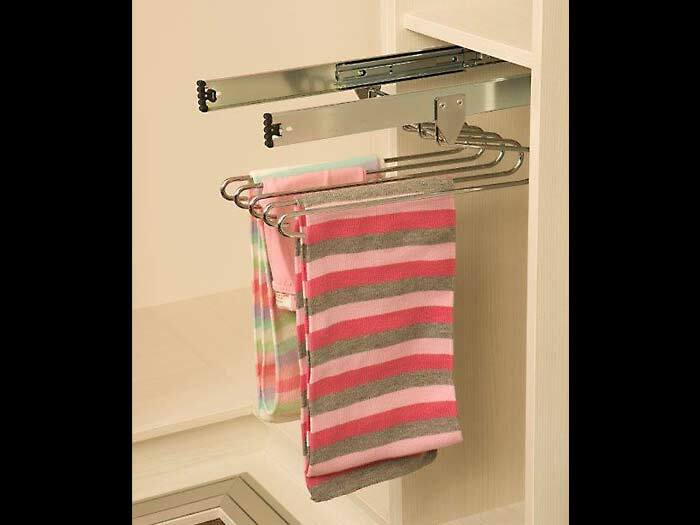 This pull out tower is great for using less width of the robe and more depth. 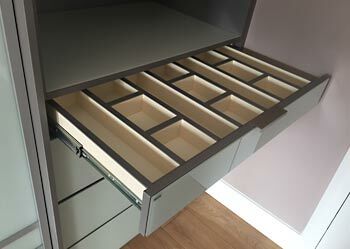 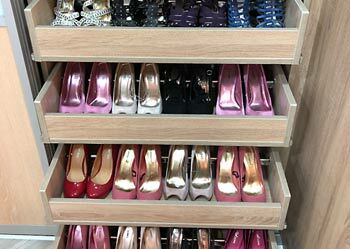 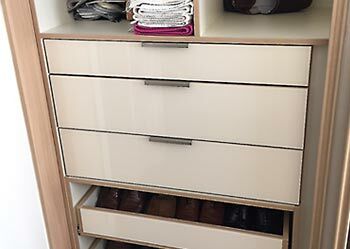 You would ordinarily get 14 – 20 pairs of shoes on this unit, which can be made to measure to accommodate boots. 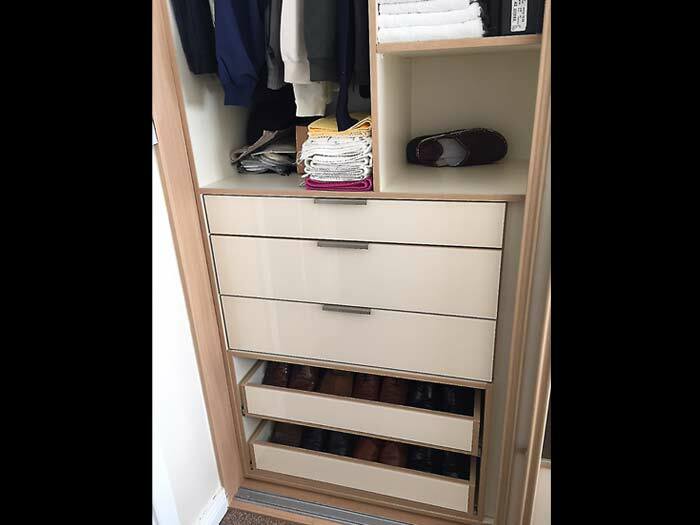 This unit can be made full or half height also. 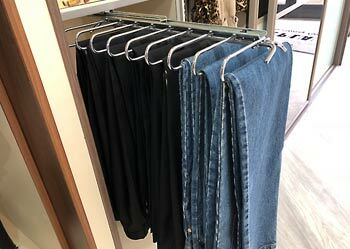 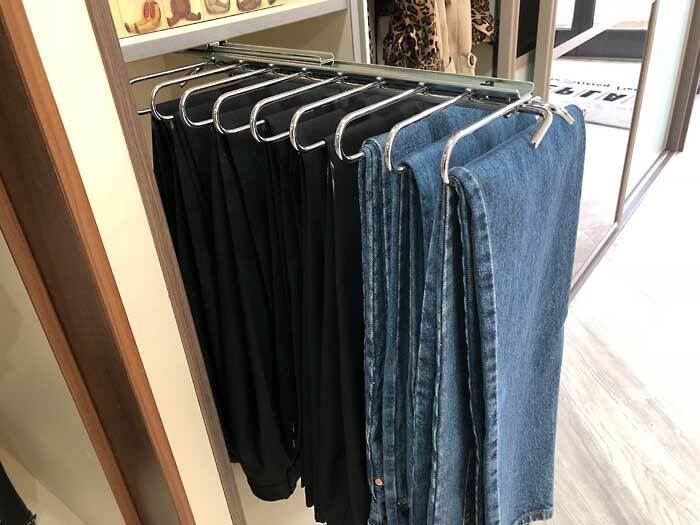 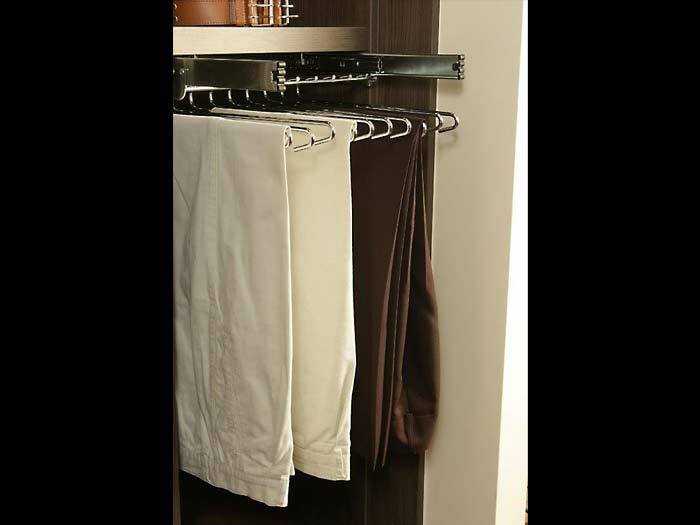 Trouser rails are ideal for keeping your trousers crease free where they can hang separately. 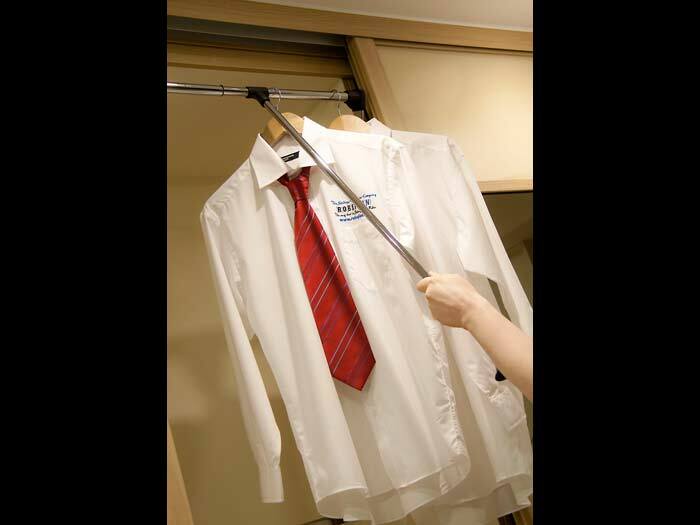 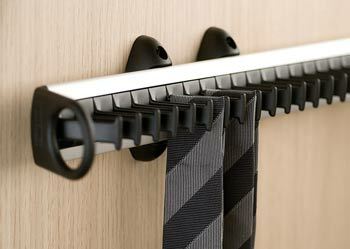 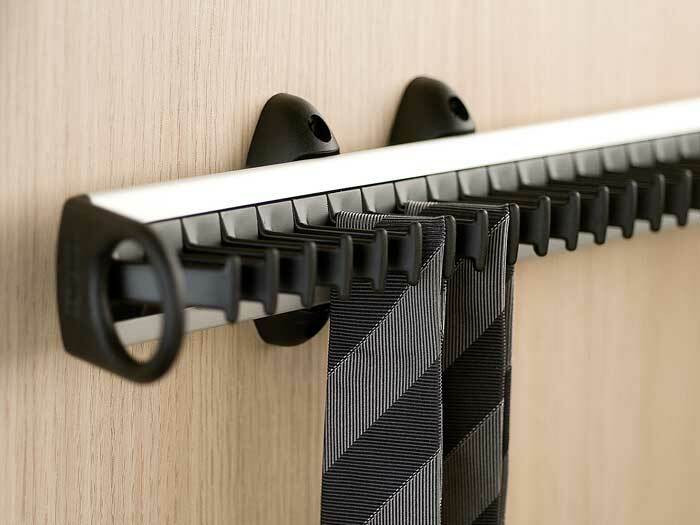 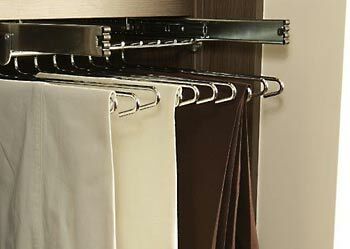 This accessory pulls out independently from the wardrobe allowing you ease of access to each hanger. 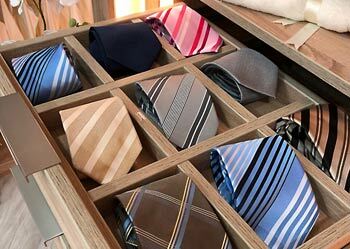 Ties are one item of clothing that are usually found hanging over doors, chairs, and door knobs etc. 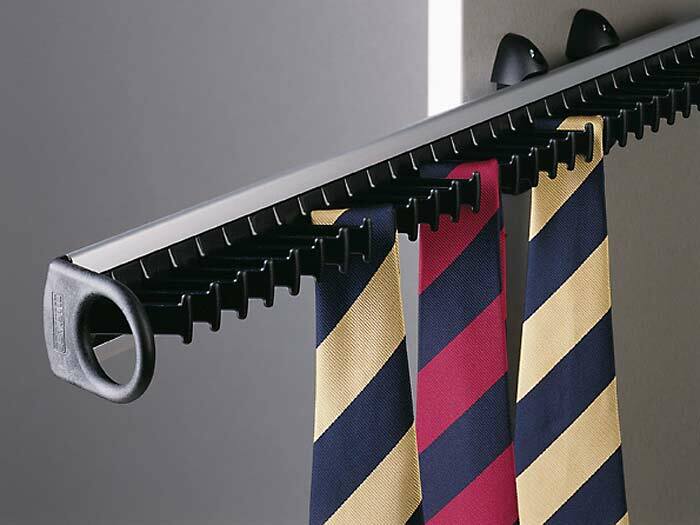 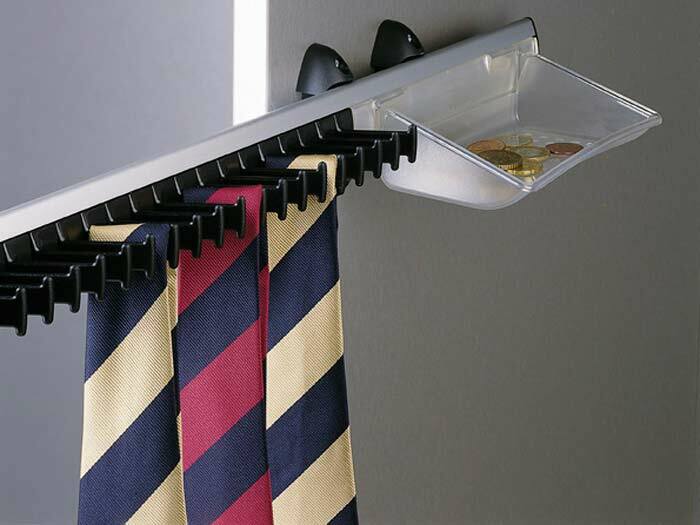 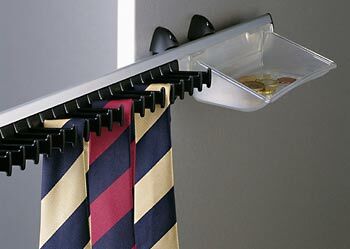 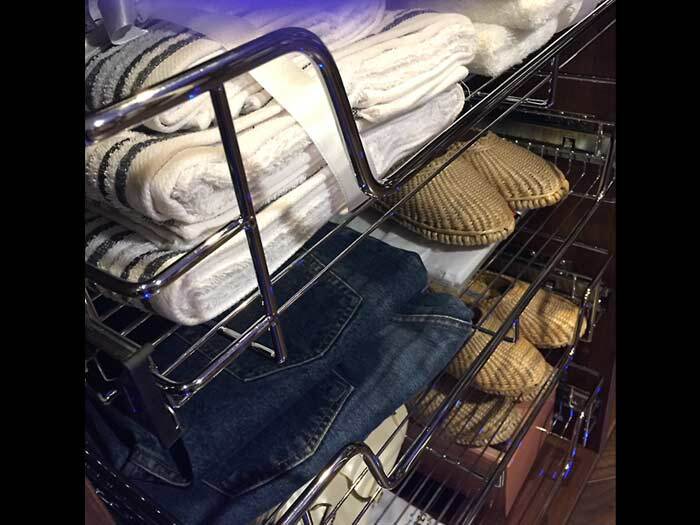 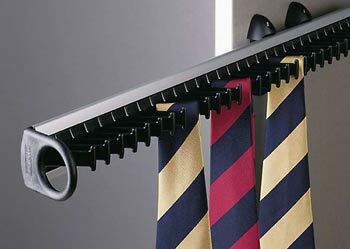 A simple tie rack will solve all your clutter problems in an instant. 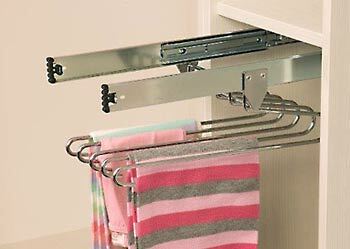 This unit pulls out to allow ease of access to each hanger. 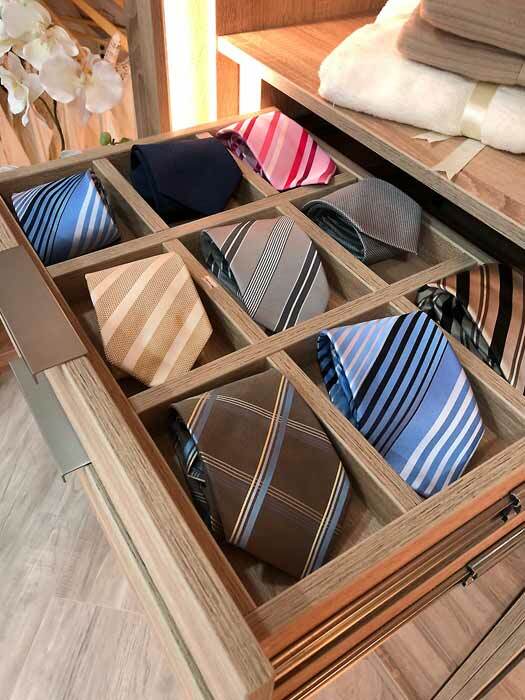 Accessories Gallery Check it out!